Learn everything you've ever wanted to know about soccer in an eye-catching, page-turning book for aspiring experts, featuring exclusive content from a real Major League Soccer referee, Mark Geiger! Score! Can't get enough of your favorite super sport? 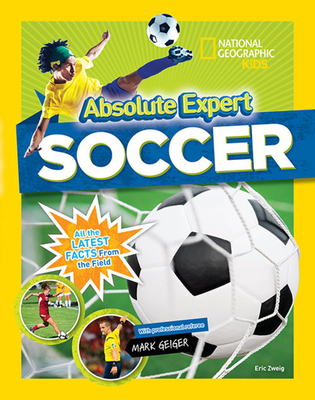 This action-packed book is chock-full of awesome facts and fun for soccer fans! Join real-life Major League Soccer and Olympic referee Mark Geiger to get the latest, most up-to-date soccer intel around, plus fun facts and awesome trivia. Out just in time for the World Cup! Expert MARK GEIGER is a Major League Soccer referee and member of the Professional Referee Organization (PRO). He has refereed multiple major international soccer events, such as the 2012 Olympics and the 2014 FIFA World Cup.